Well well well... The co-driver has decided to try his hand at driving... Time to find out how bad I can do in the wrong seat!! 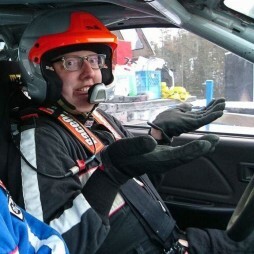 Pete Chadwick will be co-driving for the 3rd time, fresh of a 2wd national podium at Big White Winter Rally. Our goal is simply to finish, and have fun doing it. Special thanks to Adam Vokes/Chassisflex for the rental Civic!